ABSTRACT: UBC Press has been outsourcing ebook production since it first started publishing its titles in digital form in the late 1990s. At first, outsourcing seemed a sensible way for UBC Press to enter into e-publishing: the practice was convenient, cost effective, and fit with the Press’s freelance-based business model. However, by 2011, it had become evident that outsourcing to large conversion houses had its drawbacks. In addition to problems like error-filled files and delayed distribution, outsourcing en masse may cause greater, industry-wide disadvantages, such as a dependence on cheap overseas labor and missed opportunities for professionalization among Canada’s domestic workforce. In the face of these problems, individual publishers like UBC Press must put various short-term solutions in place and consider making changes to their own production workflows if they are to achieve greater quality assurance and control over their own epublishing programs. I would like to thank Rowland Lorimer, who inspired me to study scholarly publishing; Roberto Dosil and Laraine Coates, for their encouragement and careful reading; the hard-working ladies in the Production and Editorial Department at UBC Press, who teach by example; and Jane Hope, whose wit and friendship helped me through my internship and beyond. Established in 1971, UBC Press has developed into a scholarly book publisher recognized for its social sciences monographs and edited collections. Considered a “mid-sized” scholarly publisher by Canadian standards, UBC Press produces over 60 new titles a year in the areas of environmental studies, gender studies, military and security studies, geography, Canadian and British Columbian history, law, political science, and Aboriginal and Asian studies. At present, the press also publishes books in 21 different series, several of which are co-published with cultural and professional organizations such as the Osgoode Society for Canadian Legal History, the Canadian War Museum, and the Canadian Council on International Law. Like many other university presses, UBC Press is somewhat of a hybrid entity within its host institution. Because the press helps carry out the research mandate of the university, and because its publications board is made up of faculty members, the press is in some ways considered to be an academic unit. Like faculties and departments, it is therefore housed on campus and receives a modest level of operational funding from the university. The Press also earns income from an endowment whose funds are administered by the university (though this endowment income has decreased significantly over the past ten years). In other respects, though, UBC Press is treated as an ancillary unit. Ancillary units like Food Services or Land and Building Services exist within the university environment; however, they are expected to be self-sufficient and generate revenue by charging for their services or products. Like many other university presses, UBC Press is thus in the awkward position of having to operate as a for-profit business with a not-for-profit academic agenda. UBC Press’s revenue model reflects this hybrid status: it is a mix of sales income and direct/indirect institutional support, supplemented by grant funding. According to a recent review conducted by the Strategic Development Support unit of the UBC Treasury, UBC Press receives 54% of its funds from book sales, 21% from agency sales and rights income, and around 18% from granting agencies like the Social Sciences and Humanities Research Council (SSHRC). Only 6% of its budget for the 2011-2012 year came from UBC operating funds. Compared to other UPs in Canada, UBC Press is therefore considered to be “relatively financially self-sustaining” (UBC Treasury). While UBC Press’s diversified revenue stream might seem to protect it from the vagaries of a single-source income, the Press predicts that various industry-related changes expected to take place over the next ten years will threaten the viability of the press. For instance, demand for the agency services that UBC Press provides to US and UK publishers is expected to lessen due to an increase in online, direct-to-consumer marketing and delivery. This loss of agency income, predicted to occur over the next five years, would mean a significant reduction in revenue—roughly one-fifth of the Press’s total income. Furthermore, if UBC Press were to experience a considerable loss in revenue, this loss would be compounded by a decrease in block grant funding from the Department of Canadian Heritage, since block grants are contingent upon positive net income. Whereas a trade publisher might try to compensate for a loss in revenue by marketing its titles more aggressively in the hopes of selling more copies (and thereby achieving greater economies of scale), there is little potential for growth in monograph sales for social sciences and humanities (SSH) publishers. SSH publishers like UBC Press serve a niche market, with the majority of sales being made to a finite number of academic libraries. What’s more, these institutional sales have been threatened in recent decades by libraries’ shrinking acquisition budgets and competing commitments to costly periodicals. Even if domestic and foreign sales were to rise 2.5% annually over the next few years as predicted in the UBC Treasury’s financial forecast, this modest increase in sales would not be able to offset the loss of agency income entirely. In short, printing and selling more books is not an option for UBC Press. In fact, in an attempt to reduce inventory costs, UBC Press has begun to limit its initial print runs. Typically, only 500 copies of a title are produced upon publication, 300 of which are hardcover (for the institutional/library market) and 200 of which are trade paperback (for course adoption and individual academics). UBC Press further anticipates that it may phase out hardcover editions altogether within the next five years in favour of the less expensive paperback format. It is also working to introduce print-on-demand options in England and Australia in order to reduce the number of printed books it has to stock and ship overseas. At the same time that UBC Press is scaling back its print runs, it has been exploring and expanding its digital publishing activities. However, it is unclear at this point whether ebook sales will endanger, augment, or replace print sales. Since the introduction of ebooks over a decade ago, Canadian publishers like UBC Press have expressed concern over the potential for ebooks to “cannibalize” or detract from the sale of print books (Crawley, “University”). A decrease in print sales and increase in electronic sales is particularly worrisome to publishers because ebooks tend to be priced much lower than print books. In the world of trade publishing, online retailers like Amazon and Apple have exerted a downward pressure on the price of ebooks, so that even if a publisher is able to sell a considerable number of electronic copies, the profitability of ebook publishing is limited. Scholarly publishers stand to lose even more than trade publishers in this shift to the digital format, given that scholarly monographs are often priced three to 10 times higher than trade books. If scholarly publishers are forced to sell their titles in digital form to the same small consumer base, but at a much deeper discount, their profit margins would no longer be razor thin: they would be non-existent. In an attempt to remain revenue-neutral in the event that ebook sales replace print sales, some university publishers—including UBC Press—have taken an offensive tactic by purposefully pricing their library-bound ebooks slightly higher than the listed price for hardcover editions (a move that, in UBC Press’s case, was approved by ebrary, a content aggregator which supplies ebooks to academic libraries). Although it is unclear at this time what the institutional market will bear in the pricing of electronic monographs, cost certainly seems to be a deciding factor for librarians. In a survey conducted by ebrary in 2007, librarians reported that one of the most important factors they considered when purchasing an electronic title was its price: a consideration that was second only to the content of that title (McKiel, “200” 5). In addition to pricing library ebooks slightly higher than print print books, UBC Press has taken measures to ensure that its more expensive ebooks destined for the library market are more visible than its cheaper ebook formats. For instance, when submitting Cataloguing in Publication (CIP) data to Library and Archives Canada, the Press only discloses that it will be producing a PDF (portable document format) edition of a title, which will be sold to libraries at 5% higher than the hardcover price—even though it has already obtained an ISBN for the EPUB (electronic publication) version, which will be sold to individual consumers at the paperback price. In its library sales catalogues, the Press advertises these PDFs, but not the EPUBs. UBC Press’s non-competitive pricing of ebooks and its promotion of expensive over inexpensive ebook formats will, in turn, likely lead to a slower rate of ebook adoption by academic libraries. To be sure, ebooks are not at present a significant source of revenue for scholarly publishers. Members of the Association of American University Presses report that ebook sales only represent between 2% and 10% of overall sales for 2011. For UBC Press, ebook sales to libraries in Canada are only projected to account for 7% of total sales for 2011-2012 year; likewise, ebook sales to American libraries only account for 15% of US sales. In terms of income, ebooks make up just 3% of UBC Press’s total sales revenue. Small as these figures may seem, they do represent a two-fold increase in percentage of total sales from previous years—an indication that the appetite for ebooks in the academic market may be growing. However much revenue ebooks may bring to the Press, it is clear that ebooks carry with them certain costs. In a recent financial review, UBC Press estimated that the cost of print books sold accounts for 17% of total sales, while the cost of digital books sold accounted for only slightly less—12% of total sales. Some of these costs (e.g. editorial, design, and permission costs) are shared between the print and digital editions of a title, but others are unique to the electronic format. For example, in order to store, distribute, and market its digital titles effectively, UBC Press will need to update its technological infrastructure in the near future. This upgrade will entail significant one-time investments, including the purchase of a new digital asset management system (which stores and distributes files to vendors); a redesigned website with increased functionality, including the ability to sell ebooks directly to consumers; consultation with a web marketing specialist, who can help the press increase its brand discoverability through search engine optimization; and improvements to the current system for managing bibliographic data. 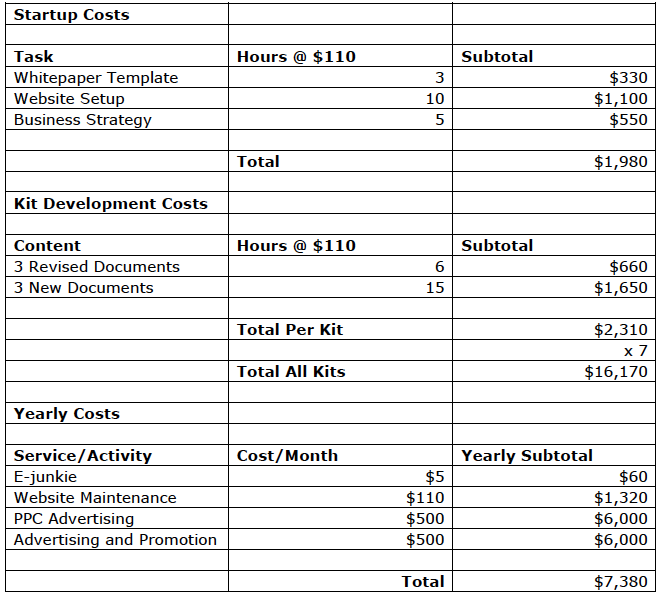 In addition to these secondary expenses, the Press must bear the principal cost of producing ebooks. Though these production costs have been subsidized over the years by various parties (see Chapter 1), they have come to present a considerable expense and financial risk for the Press. It is upon these realities—certain costs and uncertain gains—that UBC Press has based its decisions regarding ebook publishing over the last decade. It is not surprising, then, that the Press’s shift toward ebook adoption has been cautious in nature, favoring subsidized initiatives that have allowed the Press to enter the market without significant risk or disruption to its existing print-based workflows. Taken together, these phases reflect over a decade of change in the way ebooks have been produced and distributed in Canada; they also reveal a surprising mix of private and public initiatives that have underwritten the creation of scholarly ebooks in this country. UBC Press has been publishing ebooks in one format or another since the late 1990s, but like many other university presses, it has done so with the assistance—and at the insistence—of various external parties, beginning with content aggregators. Content aggregators are the electronic equivalent of library wholesalers. They acquire and package digital content from publishers, which they then license to institutions for a fee. In the early years of ebook publishing, aggregators not only marketed and distributed ebooks, but they also produced them. These companies would arrange for the creation of ebook files on behalf of the publisher, essentially manufacturing a product for themselves to sell. In this way, content aggregators were not just “middlemen,” but were really the originators of the scholarly ebook market. It was they—not publishers—who digitized scholarly books and built a business around this product. The publishers simply licensed the content to them. The first content aggregator to convince Canadian publishers to take part in this new venture was an American company named NetLibrary. NetLibrary was formed in Boulder, Colorado, in 1998. Soon thereafter, it began to sublicense rights for select backlist titles from academic publishers and to create ebook editions of those titles. The company produced these ebooks by scanning hardcopy books supplied by the publishers. Using an optical character recognition (OCR) scanner, NetLibrary was able to convert the image of printed type into text. Instead of being contained within a particular file format, these early ebooks were simply rendered in HTML. 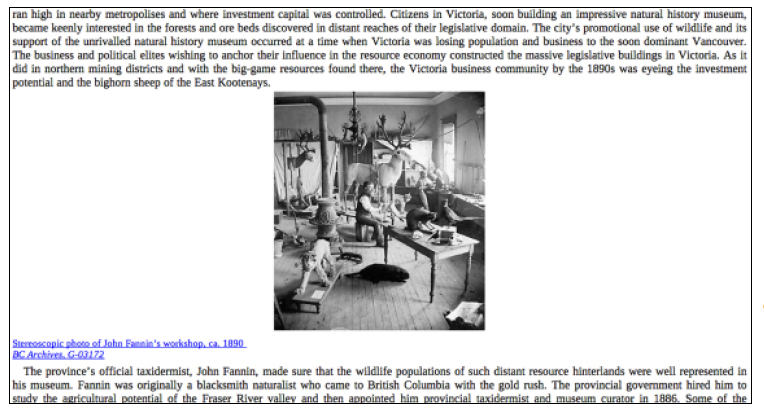 The text was viewed online by library patrons through a browser using a tethered-access model (Knight 31). This production and delivery method, made possible by the increasing popularity of the internet (which allowed people to access content remotely), proved to be quite successful. In its first two years of operation, NetLibrary was able to amass a large volume of content from publishers: by November 2000, NetLibrary’s online collection numbered 28,000 titles, ten of which were from UBC Press. The company had also sold ebooks from its digital collection to nine different Canadian university libraries (Crawley, “University”). On the heels of NetLibrary’s apparent success, other companies emerged to serve this new electronic library market. As the agreement with NetLibrary was non-exclusive, UBC Press began to develop partnerships with these other content aggregators as well. The Press sublicensed around 500 of its titles to Questia, an aggregator that sold subscriptions to both individuals and institutions (Crawley, “University”). At the time of its launch in January 2001, Questia had developed a considerable collection of over 50,000 titles. Shortly thereafter, UBC Press began to sell ebooks through ebrary, NetLibrary’s major competitor (Knight 32). Soon, UBC Press had signed an agreement with Baker & Taylor, which at that time was the largest distributor of library print books, which had started offering HTML-based ebooks using a delivery model similar to NetLibrary’s (Knight). In this way, UBC Press parceled off licensing rights to various content aggregators during its first five years of ebook publishing. UBC Press continued to enter into concurrent agreements with different content aggregators and to digitize its legacy titles piecemeal until 2005, when the Press signed an exclusive one-year deal with the nascent Canadian Electronic Library (CEL). This business initiative marked the first attempt to foster “homegrown e-books” in Canada (Smith). The CEL had been formed a year prior by Gibson Library Connections, a Canadian content aggregator interested in creating a collection of electronic texts from Canadian publishers. In 2005, CEL’s Vice President Robert Gibson began approaching publishers within the country—particularly scholarly presses—with an offer to create PDFs of their entire catalogues. Gibson would then sell access to this content through the ebrary reading platform to various academic libraries in Canada (Ng-See-Quan). By this time, the PDF had become a universally accepted format for electronic documents, so a shift toward this standard and away from simple HTML encoding was welcomed by publishers. UBC Press was one of a dozen publishers that first agreed to Gibson’s offer (Smith). After signing on with the CEL, the Press began to digitize nearly all of its titles that had not yet been hand-picked by content aggregators. However, the creation of these files was carried out not by Gibson in Canada, but by a US-owned technology partner named CodeMantra whose conversion facilities were located overseas. With the help of CodeMantra, a mass conversion of UBC Press’s backlist (up to and including those titles published in 2007) was performed within a matter of months. The 500 or so ebooks produced for UBC Press were added to Gibson’s steadily growing collection (“eBound”). A year or so after its inception, the CEL was comprised of approximately 6,000 scholarly titles in English and French. By June 2006, Gibson had licensed CEL content to 12 academic libraries, mostly within Alberta (Smith). This sale was promising, and presaged an even more lucrative deal that took place two years later in September 2008, when the collection had grown to over 8,000 titles from 47 different Canadian publishers. At that time, Gibson Library Connections brokered a historic deal with the Canadian Research Knowledge Network, or CRKN (Ng-See-Quan). By 2008, this well-funded Canadian purchasing consortium was on the hunt for a large collection of SSH content, and it found its match in the Canadian Electronic Library. In the end, CRKN spent 11 million dollars of its funding on a three-year deal with Gibson Library Connections (Ng-See-Quan). This landmark sale was profitable not just for Gibson, but for participating publishers as well. Because the CEL’s royalty system was based on the number of titles a publisher had submitted to the collection, the more established UPs—like University of Toronto Press and McGill-Queens University Press, who had volunteered most of their backlists—benefitted greatly from this sale. UBC Press alone earned roughly 1.3 million dollars from the CEL-CRKN deal over the 3-year contract period (UBC Treasury). It was the largest single sale ever realized by the Press, regardless of format. At the close of its contract with Canadian Electronic Library, UBC Press did not have any plans in place to produce and distribute ebooks of its forthcoming titles. For the first time since its foray into the world or digital publishing, the Press was left to oversee its own ebook program which had, until that point, been governed by outsider interests. According to CodeMantra, these features met the minimum file requirements of most libraries and ebook vendors. The uPDF format therefore allowed publishers to distribute their files to multiple sales channels without encountering any technical barriers. To help deliver this product, CodeMantra also offered publishers subscriptions to Collection Point, a digital asset management system. Collection Point enabled publishers like UBC Press to store their ebooks, apply metadata to these files, and deliver the finished products electronically to various sales channels, including to content aggregators, whose role had really been reduced to that of distributor by this time. By helping publishers to not only create but also manage their ebooks, CodeMantra was attempting to provide an “end-to-end” digital publishing solution for clients like UBC Press, who found themselves in the position of having to produce and mobilize their own ebooks without having the know-how or tools to do so. Having secured these technical services from CodeMantra, UBC Press began to manage its own ebook publishing program, unassisted, until the next external initiative arose—this time, under the direction of a national trade organization: the Association of Canadian Publishers. The Association of Canadian Publishers (ACP) represents approximately 135 domestically owned and controlled English-language publishers: among them, eight of Canada’s 13 university presses, including UBC Press. Since it was formed in 1976, the ACP had provided research, marketing, and professional development services to independent publishers in Canada. At the time of the CEL-CRKN deal, the Association had become aware of its members’ need for assistance in the ebook business. To help its members navigate this new era of publishing, the ACP applied for and received a $109,906 grant from the Department of Canadian Heritage, which it used to fund the formation of the Canadian Publisher Digital Services initiative (CPDS) in May 2009. The CPDS was a suite of services that aimed to provide advice and support to small and mid-sized independent publishers wanting to create and manage ebooks (MacDonald). An important part of the CPDS program was connecting Canadian publishers with technology partners who could offer conversion services. The first round of ebook conversions organized by the ACP took place in October 2009. For this job, the ACP hired CodeMantra, the same overseas company that had made a name for itself among publishers by converting their files for the Canadian Electronic Library. This was also the same company that UBC Press had been relying upon in the interim period since its dealings with CEL. The ACP’s choice of technology partner was thus particularly convenient for UBC Press: the fact that the Press could continue to use CodeMantra’s services through the CPDS program made it all the more appealing. Under the ACP’s contract with CodeMantra, UBC Press continued to commission uPDFs from CodeMantra, but it also began to request another set of PDF files intended for Ingram’s Lightning Source. The Press had been in discussion with Lightning Source about producing print-on-demand (POD) copies of select titles in Australia and the UK. As part of this arrangement, UBC Press had to supply Lightning Source with PDFs that differed from the uPDF files already being produced by CodeMantra. Unlike the uPDFs—low resoultion files designed for on-screen reading, which contain interactive features (like bidirectional links)—these POD files had to be static PDFs that could generate a print-quality product. This meant the POD PDFs had to contain high-resolution images (300 dpi) of a book’s full wrap cover and interior text. These files also had to comply with other formatting requirements stipulated by Lightening Source: for example, the interior text had to have one-quarter inch margins, the cover had to have a one-quarter inch bleed on all sides, and the images had to be rendered in CMYK colour. In addition to the uPDFs and POD PDFs, UBC Press was able to obtain under the ACP’s program cutting-edge ebook formats. Indeed, the ACP’s aim was not just to help Canadian publishers digitize their catalogues, but to assist them in pushing their ebooks beyond the PDF-based library market (which the CEL had so successfully targeted) and into the burgeoning trade ebook market, which hinged upon XML-based formats. To this end, ACP members were able to request pubXML versions of their files, a branded form of XML markup used by CodeMantra. These pubXML files were pitched to publishers as “an archive format used for conversion to various HTML or XHTML formats” (Izma). This marked the first opportunity for many Canadian publishers to store their content in what was considered to be a more durable and flexible form—a form that might allow them to repurpose their tagged content later on. Of even greater interest to publishers than the pubXML files was CodeMantra’s EPUB conversion option. The EPUB is an “agnostic,” non-proprietary ebook format. Unlike PDFs, which have a fixed layout, the text in EPUBs is reflowable, which makes them amenable to designated ereaders like the Kindle or Kobo, as well as other mobile devices. By enabling presses like UBC to adopt the EPUB format, the ACP was realizing its goal of encouraging publishers like UBC Press to enter into the trade ebook market. And indeed, UBC Press took full advantage of this opportunity. In 2009, the Press submitted 82 titles to codeMantra for conversion into all four of the formats discussed above: uPDF, POD PDF, XML, and EPUB. Other publishers were equally enthusiastic. 44 different Canadian publishers took part in the first phase of this project (MacDonald). In fact, the level of interest and participation from Canadian publishers in this program was so high that a second round of conversions was organized in 2010. Data conversion companies were invited to bid on a new contract with the ACP; this time, the job was awarded to a different technology partner, Innodata Isogen, whose facilities were also located overseas. UBC Press submitted another 62 of its recently published titles to Innodata for conversion. In total, UBC Press’s files accounted for almost 10% of the more than 2500 titles submitted for conversion during the Canadian Publisher Digital Services program (Coates, MacDonald). The CPDS program was the most recent effort toward large-scale, coordinated ebook production in Canada. By the end of its second round of conversions, the ebook market had become much more firmly established, and the need for conversion services and representation was so great that the ACP announced the CDPS would become a separate entity, eBound Canada, in June 2011 (“Newly Incorporated”). Nic Boshart, Manager of Technology at eBound Canada, confirmed that this newly formed not-for-profit organization will “continue offering bulk and individual conversions” to its members, in addition to providing assistance with retail distribution, research and education about digital publishing (Boshart, “Conversions”). For his part, UBC Press Director Peter Milroy has expressed a willingness to continue outsourcing ebook production to technology partners through third-party organizations like eBound Canada. It seems, then, that the Press will continue to outsource ebook production—at least, for the immediate future. UBC Press’s decade-long history of ebook publishing reflects numerous changes in the industry, including a shift from HTML and PDF to XML and EPUB formats; from a program that focuses exclusively on institutional markets to one that includes trade markets; and from private-sector initiatives to publicly-funded programs. Throughout these changes, the Press’s reliance on outsourcing has remained constant. UBC Press has always depended on an external partner to produce, sell and distribute its ebooks. This is perhaps not surprising, as the ebook business was first created and aggressively developed by external stakeholders (e.g. content aggregators). Yet there are several other reasons why publishers have chosen to outsource ebook production for the last decade. These reasons are explored in detail in the next chapter. There are several reasons why UBC Press and other publishers first outsourced, and have continued to outsource, ebook production. This practice is part of a national movement toward offshoring in Canada’s information and communications technology (ICT) sector; it is also indicative of the freelancing model used by many publishers, including UBC Press. More importantly, outsourcing has been a convenient and cost-effective way for UPs to enter into a potentially lucrative but uncertain market. Outsourcing is a business practice that is not unique to the publishing industry. Indeed, outsourcing has become increasingly popular across the manufacturing and service industries over the past five decades. 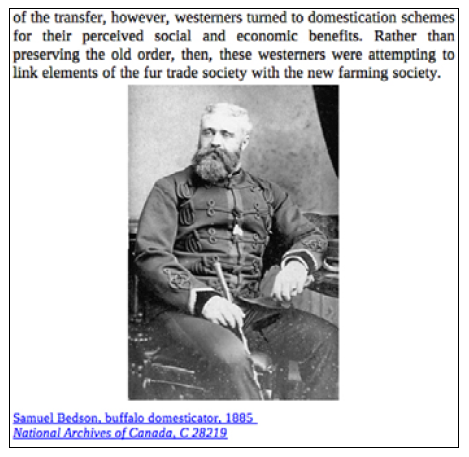 As John Baldwin and Wulong Gu point out in a federal report on this issue, Canada has been able to increase its participation in international trade over the last 50 years thanks to “a reduction in trade barriers” and “improved … coordination of dispersed production activities” made possible by conveniences like teleconferencing, email, etc. (7). Among the many goods and services that are now traded internationally are services in the ICT sector (8). In fact, outsourcing has become so common in this sector that by 2003 Canadian companies were offshoring 7.3 billion dollars in business services, including software and computer services (Morissette and Johnson 14, 16). Though their traditional focus on acquiring, editing and designing once placed publishers squarely outside the realm of these technology-related services, the rise of digital publishing and the concomitant need for large-scale data conversion has made publishers reliant upon the ICT sector. Through their business dealings with content aggregators and conversion houses, Canadian publishers have thus become swept up in this larger movement toward offshoring. In addition to being part of a larger trend in the ICT sector, outsourcing is in keeping with the UBC Press’s own business strategy, which includes contracting out skilled work to freelancers (Milroy). During cutbacks in the early 1990s, UBC Press was forced to downsize its staff. As it was less expensive and more convenient to hire workers on short-term contracts, the Press came to rely on freelancers for much of the editorial and production work formerly carried out by employees in house (Brand 58). By the time UBC Press started experimenting with ebooks in the early 2000s, all copywriting, copyediting, proofreading, typesetting, designing, and indexing for print books was being carried out by freelancers. As most of the work involved with print books was being performed out-of-house, it seemed reasonable that this new facet of production—ebooks—be outsourced as well. Ebooks brought with them the promise of profit. Publishers and aggregators alike saw the electronic format as a way to capitalize upon backlist titles that weren’t generating much revenue. It was also thought that the release of ebooks would encourage libraries who had already purchased a print copy of a book to buy an electronic edition as well, essentially duplicating sales for that title. In addition to generating income through electronic sales, ebooks were expected to boost print sales due to “increased exposure to the press’s list” (Crawley, “University”). Despite these anticipated financial benefits, university presses were cautious about entering into ebook publishing due to “high technology costs and a questionable market” (Crawley, “University” and “Scholarly”). Outsourcing, however, provided a way for scholarly publishers like UBC Press to experiment with digital publishing while minimizing financial risk, since outsourcing partners offered a series of incentives that either lowered or eliminated production costs. NetLibrary initially set low-cost expectations by offering to cover the cost of digitization (i.e. the shipping and conversion fees) in exchange for the right to sublicense that digital content. This saved the publisher from having to invest in ebooks upfront. It also effectively protected the publisher from the risk of financial loss, for if the ebooks did not sell well, in the end, the publishers would not have lost any money on production expenses (Crawley, “University”). However, if NetLibrary did manage to sell its ebooks (which were sold at the print cover price), it typically split the proceeds from these sales 50/50 with the publisher (Crawley, “University” and “Online”). Essentially, publishers could profit from this venture, even though they weren’t fronting any financial capital for it. It was these favourable terms that first tempted publishers like UBC Press to start outsourcing to Netlibrary. It’s not surprising, then, that when the company changed the nature of its offer, several publishers pulled out of the agreement. As a cost-recovery measure, NetLibrary had begun charging publishers hefty conversion fees in September 2000, the price of which could range from one hundred to a few thousand dollars per title, depending on the number of pages and images in the original print book (Crawley, “University”). As a result of these changes, UBC Press chose not to renew its contract with NetLibrary after 2003. Although NetLibrary’s initial offer had been too good to last, its low-risk approach to ebook deals had been so attractive that Gibson used a similar incentive when trying to recruit publishers for the Canadian Electronic Library. As Alison Knight explains, “CEL offered to scan and generate PDFs from hard copies for UBC Press’s entire backlist without immediate charge (the $90 PDF creation to be instead deducted from royalties)” (42). Under Gibson’s agreement, publishers would only pay for production costs in the event that their ebooks actually turned a profit; in other words, they would never have to pay for production costs out of pocket. Furthermore, the production costs were themselves quite low because Gibsons’ technology partner, codeMantra, had its conversion facilities located in India: a low-wage, non-OECD country where there is a “fast-growing supply of relatively skilled workers” (Morissette and Johnson 9). CodeMantra was therefore able to convert ebooks at a reasonable price, which lowered production costs and increased profit margins for the CEL and its participating publishers. The cost savings that came from outsourcing to an overseas conversion house were so appealing that UBC Press continued to use codeMantra even after it’s contract with Gibson ended in 2008 and it found itself having to pay a flat fee upfront to convert its ebooks. Using similar incentives, the Association of Canadian Publishers was also able to lower the cost of producing ebooks for Canadian Publishers, thereby encouraging them to continue outsourcing. When it came time for the ACP to choose its technology partners for the CPDS program, it too hired companies like CodeMantra and Innodata, whose conversion facilities were located in South Asia, and who could therefore offer lower pricing. Under the ACP’s program, these services were obtained at collectively negotiated rates, which were made more advantageous by the volume of files being converted; by guaranteeing the participation of numerous Canadian publishers in the CPDS program, the Association was able to secure conversion services at an even more competitive price. In addition to using foreign technology partners and securing discount/”bulk” pricing, the ACP was able to further lower the cost of producing ebooks by offering a subsidy to its members. During the first round of conversions in 2009, this subsidy amounted to 30% of the overall cost (30 cents on every dollar’s worth of charges), reducing the cost of conversion anywhere from $60-$240 per title. Instead of having to pay $190-$800 to convert each book, UBC Press only paid $130-$560. During the second round of conversions, the ACP continued to offer publishers a subsidy, although it was lowered from 30% to 19% of the total cost, which amounted to $33-$91 in savings per title. Certain restrictions were also put in place during the second round of conversions to reflect the aims of the ACP’s program: only those titles that were being converted into the new XML and ePub formats would be eligible for the discount. Accordingly, UBC Press was more selective in the titles it chose to convert and in the formats it requested. Of the 74 titles the Press submitted for initial estimates, it processed only 62, choosing those titles that were most affordable to produce. Despite these new restrictions, publishers were still able to enjoy considerable savings: the cost for converting a single title into all four ebooks formats (EPDF, POD PDF, XML and EPUB) during this last round of conversions ranged from $105-$467. To sum up, the companies and organizations that have facilitated outsourcing over the last ten years have offered a series of incentives, ranging from complete coverage of production costs to cost deferrals and direct subsidies. These incentives have made it more affordable—and therefore less risky—for university presses to start publishing ebooks. In addition to lowering financial risk and production costs, outsourcing seemed like a convenient way for publishers to enter into the ebook business. The production method used by the early content aggregators was particularly accommodating. Thanks to OCR scanners, companies like NetLibrary only required hardcopies of books in order to generate the text for these first HTML ebooks. This meant that publishers could remain focused on creating their print product while ebook production took place downstream. Outsourcing was essentially tacked on to the end of the Press’s own workflow, which remained unchanged despite the introduction of this additional output format. Even with the advent of newer ebook formats, in-house operations continued much the same as they had before. 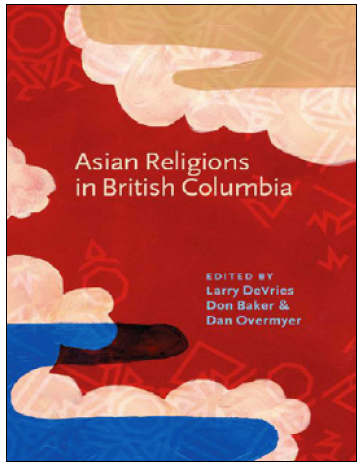 When UBC Press began to commission enhanced PDFs (ePDFs) directly from CodeMantra in 2008, the Press only needed to provide the company with the simple image PDFs of a book’s cover and interior. These files were exported directly from InDesign by the Press’s typesetter who was, conveniently enough, already generating PDFs of a book’s final proofs for the printer, Friesens. In other words, the same PDFs that were used to produce print books could now serve as the basis for the Press’s ebooks. All the Press was required to do was upload these simple PDFs, along with the accompanying front cover images in their native file formats (e.g. JPEGs, TIFFs, and .AI files), to the company’s FTP site. The real work involved in “enhancing” these PDFs was then performed off-site in CodeMantra’s content factories. Once the simple PDF files had been downloaded by CodeMantra employees, features like internal links and bookmarked tables of contents were added manually to enhance the product and make it more user-friendly. Although applying these features is not an overly complex process, requiring only minimal training and common software applications like Adobe Acrobat Pro, the process can be quite labour intensive, particularly if a PDF contains a lot of index entries or notes which have to be turned into links. Outsourcing therefore saved UBC Press staff the time and effort required to perform these tedious tasks. Though the method of producing other ebook formats is much more involved, the Press did not have to put forth any extra effort when it started to publish EPUBs and XML files in 2009. This is because conversion houses like CodeMantra and Innodata were able to create these ebooks from the same basic files used to produce the ePDFs. Nic Boshart, Manager of Technology at eBound Canada, explains how this process might be carried out. Data conversion companies like CodeMantra and Innodata often use custom-made software to produce EPUBs and XML files. Many conversion houses write their own scripts, which they use to extract content from publishers’ PDF or InDesign files. This data is then stored in an intermediate form of XML unique to that company (e.g. CodeMantra’s “pubXML”) and is run through an engine that converts the tagged data into an EPUB. After a rough preliminary conversion, these companies likely run more scripts to reformat portions of the file and to add styling to the ePub. Although Boshart believes that “there is a human element involved somewhere along the line, probably for double-checking (quickly) code and running more scripts,” much of this process is automated, which allows these content factories to convert a large number of files simultaneously. In this way, conversion houses are able to create complex XML ebook formats from the simple PDFs provided by the publisher. From a production standpoint, outsourcing has therefore been exceptionally convenient: it has allowed UBC Press to adopt various ebook formats that have developed over time without having to drastically alter its own operations. Moreover, in its early agreements with content aggregators, UBC Press was able to outsource not just the production of its ebooks but also their marketing and distribution. As it was in NetLibrary’s and Gibson’s own interests to promote the content that they had licensed from publishers, UBC Press was excused from having to actively advertise its digital titles. This appealed to former Associate Director of UBC Press George Maddison who, as Quill & Quire noted, “prefer[ed] to let others do the work” (Crawley, “University”). Publishers who converted their titles through the CPDS program also had the option of collectively licensing their content through the ACP to ebook vendors like Sony. Although UBC Press has had to take a more hands-on approach to ebook production in recent years (see Chapter 3), the initial convenience of being able to outsource all manner of work associated with ebooks clearly was a draw for publishers. At the time UBC Press began publishing ebooks, the outsourcing of technical services had become a common practice within Canada. Outsourcing also seemed to fit with the freelance-based business model already in place at the Press. Over the years, the different parties that organized ebook production also tended to subsidize it: companies like NetLibrary and industry groups like the ACP have offered various financial incentives to make outsourcing even more attractive to publishers. For publishers, then, outsourcing has minimized any economic risks involved in adopting the digital format. Furthermore, outsourcing has been an incredibly convenient way to enter into the ebook market. Because ebooks have, to date, been produced from the end-product of print publishing (i.e. from a hard copy or PDF of a book), UBC Press hasn’t had to make any changes to its own production workflow—even with the adoption of newer, XML-based ebook formats. By being both convenient and affordable, this method of production has been beneficial enough to keep publishers outsourcing for over ten years. However, it remains to be seen whether the benefits of outsourcing still outweigh other problems that may have arisen from this practice. The next chapter will therefore take a closer look at UBC Press’s most recent outsourcing experience to determine whether outsourcing remains a convenient, risk-free, and cost-effective way for UBC Press to produce ebooks. As was established in the previous chapter, UBC Press has been outsourcing ebook production since it first began publishing ebooks in the late 1990s. But whether or not it should continue to do so warrants some consideration. The processes and products that have resulted from over a decade of outsourcing should be examined in order to determine whether outsourcing remains as beneficial a business practice as it once was. This chapter will begin by reviewing the quality of the ebooks produced for UBC Press through the Association of Canadian Publishers’ CPDS program. In particular, it will catalogue the types of errors that have been found within these files. This chapter will then speculate on the inconvenience, risks, and added costs that may result from poorly converted ebooks. In an effort to understand why—and with such frequency—these errors have occurred, the conversion process used by large overseas companies like CodeMantra and Innodata Isogen will also be examined. After surveying the fallout from UBC Press’s latest experience, the consequences of Canadian publishers outsourcing en masse will also be considered. Even if outsourcing was an effective way of allowing Canadian publishers to enter the ebook market, outsourcing long-term may have the unfortunate result of reducing the autonomy of Canadian publishers and their participation in the digital economy. As discussed in Chapter 1, when the ACP first introduced the CPDS program, the initiative was welcomed by most Canadian publishers—including UBC Press—who were looking for assistance in digitizing their recent backlist titles. Like other outsourcing initiatives that had come before it, the CPDS program was seen as a convenient way of producing ebooks. Because the conversions would be performed out-of-house, it was assumed that the Press’s operations would not be affected by them. This outsourcing opportunity also seemed to carry little risk, given that it was overseen by the ACP: a trusted industry representative that was willing to partially fund the process. In short, the CPDS program seemed like an easy, safe, and affordable way for publishers to obtain ebook editions of their backlist titles. However, UBC press was quite disappointed with the files it received from its conversion partners during this program. The two batches of files produced for the Press under the ACP contracts were not “ready-to-sell” upon receipt, as had been promised (MacDonald): in fact, they were plagued with problems. Errors were apparent even from the cover pages. The ebook covers were often of poor quality. Some cover images appeared in very low resolution; others were stretched because their proportions had not been maintained during resizing. In one instance, the author’s name and book title had been accidentally dropped from the cover. The ebook interiors were just as disappointing. Entire chapters were missing from the ebooks or from the bookmarked tables of contents that had been added to the files manually by the technology partner. The chapter titles that did appear in these tables of contents often contained spelling errors and/or were missing subtitles due to human error. More frequently, the files themselves were incorrectly named, having been labeled with the wrong ISBN number (e.g. the PDF version of a title was assigned the EPUB ISBN, or vice versa). Such errors were common across all file types, but others were unique to particular ebook formats. In the ePDFs (which are paginated), whole pages were missing or were misnumbered. Preliminary pages in the front matter did not appear in Roman numerals, though the Press had stipulated that they should. Chapter headings were also missing from the tops of some pages. Internal links to/from the notes section and index were either missing or navigated to the wrong page. In addition, the print-on-demand PDFs included only front covers, instead of the full wrap cover requested by the Press and required by Lightning Source. Instead of listing the softcover ISBNs as requested by the Press, the copyright pages in these POD files listed the hardcover ISBNs. If the PDFs were disappointing, the EPUBs were in even worse condition. The EPUB errors that were most visible were those pertaining to images. For instance, diacritics which should have been rendered in UTF-8 encoding (as stipulated in the agreement) were instead captured as images during the conversion process. Because they had been rendered as images, these accented characters did not appear to rest on the same line as the rest of the text. What’s more, these and other images were not scalable, so though the ebook’s text could be resized, the images alongside it could not. Furthermore, text was not properly “wrapped” around images, and captions (which are usually centered underneath a figure) were not aligned with the images they described. These errors were made all the more visible when the ebooks were viewed on a wide screen. Still more problems occurred because of the shift from PDF to EPUB that took place during conversion—in other words, the shift from a fixed page layout to reflowable text. Images that appeared on separate pages in the print editions now seemed to interrupt the text, sometimes appearing mid-sentence. Tables which contained three or more columns in the original files and which should have been rendered as images had been grabbed as text instead; as a result, the contents of these tables often broke across several pages in the EPUB, making them difficult to read. Odd line breaks also occurred within the running text because the print typesetter had either used automatic hyphenation or had inserted forced line breaks in the original InDesign files. Some of the errors mentioned above are attributable to the relative complexity of the EPUB format, and the amount of behind-the-scenes encoding required to convert a PDF to and EPUB. However, other mistakes seem to have been made, not because of the complexity of the task at hand, but because of carelessness or disregard for the Press’s instructions. For instance, some external links were broken because neighbouring punctuation had been included with the actual URL when the link’s destination was created. Pages that originally appeared in the front matter and that were supposed to have been relocated to the back of the EPUB so as not to interfere with readability (a common practice in ebook design) had not been moved. Also, a disclaimer stating that the index referred to the print edition of the book should have been included at the back of the EPUBs, but often wasn’t. More seriously, the metadata for these EPUB files was neither robust nor accurate. For instance, an editor’s name was often mistakenly given as an author name. In the case of co-authored works, only the first author’s name would be listed in the metadata. Series information was not included in the .OPF files of the EPUBs; ISBNs didn’t appear within the files’ ID fields, either. Most worrisome of all, many of these files could not be validated against ThreePress Consulting’s epubcheck version 1.2—a free online tool commonly used within the industry to check the integrity of the code and the structure of EPUBs. Not surprisingly, the error-riddled ebooks that were produced during the last two rounds of conversions created delays and extra work for UBC Press, making outsourcing far less convenient than it seemed at the outset. During the first round of CPDS conversions in 2009, ebook errors occurred with such frequency that many ACP members complained to the organization about the quality of their files. The sheer scale of the problem prompted the Association to bring in a consultant to negotiate a solution with the technology partner, CodeMantra. In the end, all parties agreed that the company would make certain changes to the files produced during this round of conversions, free of charge. Many publishers decided to resubmit files, but because the changes were applied globally, it took a long time for the corrections to be implemented. As a result, some of the titles that were initially submitted to CodeMantra during the first round of conversions in 2009 were not yet ready by 2011 (Coates). The second round of conversions, which began in 2010 (while the first batch of ebooks were still being corrected), was also fraught with complications. In an attempt to prevent further problems, the ACP had included specific language in the contract with its new conversion partner, Innodata. UBC Press had also included additional instructions along with the titles it submitted for conversion. Unfortunately, this second technology partner also failed to deliver files that met the requirements of the Press and the ACP, so similar delays ensued. Almost all of the 62 files UBC Press submitted to Innodata in July 2010 had to be returned to the company in November and December of that year due to formatting errors. During the second round of proofing in May 2011, errors were still being found in the files. In a sample of 36 ebooks, only 12 of the 25 EPDFs were of acceptable quality (that is, contained few enough errors to be sold in good conscience), and only five of 11 EPUBs would validate. In other words, less than half of the 36 files were properly formatted after two visits to the conversion house: the remainder had to be sent back for further corrections. Although the technology partners were usually able to turn around files within a matter of months (three months or so, in CodeMantra’s case), each time the Press resubmitted its files, they would be placed at the back of the queue behind those from other publishers who were having similar problems. The substandard files produced during this latest outsourcing experience have therefore caused significant setbacks and pushed forward the release dates of UBC Press’s ebooks. During this fiasco, Press staff also had to spend a significant amount of time and attention interfacing with its technology partners and the ACP. Once UBC Press became aware of the quality of its files, Press employees also had to intervene and spend time checking each file—not once, but multiple times. This necessarily interrupted regular in-house operations. Though outsourcing may have required little effort on the Press’s part in the early days of NetLibrary, the last two years of outsourcing under the ACP have thus required more time and attention than Press staff had expected or planned for. On top of being inconvenient, the shoddy conversions performed by the ACP’s technology partners have also resulted in added risks and expense for UBC Press. Errors such as distorted images or awkward line breaks ruin the appearance and aesthetics of an ebook; other types of errors, like broken links or missing tables of contents, affect an ebook’s functionality and navigability. Collectively, these errors have the effect of lessening the quality and value of UBC Press’s electronic product, which in turn could reinforce the low-price expectations of consumers. At the very least, these errors may affect the Press’s ability to sell its digital editions at a price that is equal to or slightly higher than the print cover price. As the Manager of Marketing points out, UBC Press can hardly expect to charge the same amount for “junky ebooks” as it does for its carefully crafted print books (Coates). If an ebook is found to have a particularly high number of errors, these errors may affect unit sales for that particular electronic title. However, they could also lower sales for other titles as well, for the following reason. UBC Press’s reputation as an academic publisher is based upon the accuracy and consistency of the research that it publishes. However, recurring formatting errors and sloppy presentation might raise questions about the Press’s overall approach to quality control and, by extension, the reliability of the content it publishes. If these poorly formatted files are released into the supply chain, they endanger UBC Press’s credibility as a scholarly/reference publisher. Laraine Coates, Marketing Manager and coordinator of the ebook program at UBC Press, has in fact expressed concern over the effect that sloppy ebooks might have on the Press’s reputation. Coates regrets that there are already ebooks in circulation that “do not do justice” to UBC Press’s publishing program. Although the Press is normally quite stringent in its review process (see “Proofing,” Chapter 4), error-filled EPDFs still made it to library market. This is because the Press was not prepared for the state of the files it received through the CPDS program. When UBC Press received its first batch of ebooks back from CodeMantra in 2010, Coates did not suspect that she would need to review each file individually for errors. As the sole staff member responsible for this aspect of production, Coates also lacked the assistance that would have made a thorough review possible. As a result, dozens of botched EPDFs were distributed to libraries through ebook aggregators soon after they were delivered to the Press. Coates admits that she and many other publishers “dropped the ball” during this first round of conversions organized by the ACP. After the flaws in CodeMantra’s files were brought to light by other ACP members, Coates decided to enlist an intern to help check the second batch of files, which were created by Innodata. At that time, however, publishers were still discovering new types of errors in their files, and because the Press hadn’t yet compiled a comprehensive list of errors to look for, this round of proofreading was rather hit-or-miss. It was also cursory by necessity: due to the volume of files that had to be reviewed, the student intern was only able to spend 10 minutes or so spot-checking each file (Coates). As a result, many of the EPDFs that were put into circulation from the second round of conversions were functional, but still contained minor formatting errors (e.g. low res. or miscoloured cover images). These ebook errors may have not only lowered the perceived quality of the product and of the Press itself, but they may have ultimately affected the profitability of the ebooks by delaying their distribution. After the Press had to send back files to Innodata for revision in November 2010, libraries and vendors began contacting UBC Press because the ePDF versions of certain titles advertised in the Fall catalogue had not yet been made available to them (Coates). As a result, library orders may have been dropped before these files were ready. The Press has had even greater difficulty bringing its EPUBs to market. Laraine Coates has expressed concern over the fact that the EPUBs first requested from Innodata in May 2010 were not yet sellable 18 months later, in November 2011. At that time, Coates commented that these ebooks were still in “need [of] a lot of work before we can put them in the market” (“eBound”). A year later, the EPUBs remain in unsellable condition and have yet to be distributed. Consequently, the sale of these ebooks—and revenue from these sales—has been postponed, and may be forfeited altogether if the files cannot be brought to satisfactory standards. In particular, if these EPUB files still contain structural errors and can’t be validated, then they can’t be put into circulation, as many ebook vendors refuse to accept potentially “unstable,” invalidated files. Metadata errors could further depress ebook sales by reducing the visibility of the files in an online environment. If an ebook is missing metadata or contains incorrect metadata, it can’t be properly catalogued by ebook vendors or indexed by search engines. This makes it harder for potential customers to find and purchase that ebook online. Metadata and validation errors therefore affect not just the discoverability of these electronic titles, but also their saleability. The potential risks and financial losses from this latest outsourcing experience may be largely incalculable, but these poorly formatted ebooks have already resulted in quantifiable costs incurred by the Press. The several rounds of proofing that UBC Press personnel have had to perform on each file has contributed to the overall cost of producing these ebooks. In the summer of 2011 alone, 63 ebooks had to be proofread in-house at the Press. As it took roughly twenty minutes to thoroughly check each ebook (often longer for EPUBS), this amounted to at least 21 hours of employee time. Though a summer intern was able to perform this task at a reduced rate, this one round of proofreading still cost the Press roughly $150. Had this same task been performed by a hired freelancer proofreader at the standard rate of $20per hour, this cost would have escalated to $420 for one round of professional proofreading, or to $1260 for the three rounds of proofreading that have been required on average during the ACP’s program. If the Press were to continue to outsource ebook production to the same technology partners and receive files of a similar quality, the proofreading required to bring these ebooks up to an acceptable standard would add an extra $7.15-$20 per file, depending on whether the task were performed by an intern or hired proofreader. This amounts to an additional $14.30-$40 per title, as each title is usually converted into two file formats that require proofreading (EPUB and ePDF). For the average book, this proofreading represents as much as a 20% increase in ebook production costs—an increase that is not insignificant, especially when multiplied across large batches of files. During the CPDS program, UBC Press spent over $30,000 to convert 144 of its titles into various ebook formats. But when one considers the hassle and hidden costs that have come with these conversions, and the untold price paid by publishers whose brands have been compromised by a substandard product, outsourcing through the ACP has turned out to be far more expensive than the official price tag suggests. Far from being an isolated incident, UBC Press’s latest experience reveals problems that come from outsourcing to a particular type of technology partner. Under its recent contracts with the Association of Canadian Publishers, UBC Press worked with two different companies, CodeMantra and Innodata: two large conversion houses whose operations are located overseas. The fact that UBC Press had disappointing experiences with both partners suggests that there may be problems not with each individual company, but with the business practices of large conversion houses in general. Although the remote location of their facilities might tempt Canadian publishers to adopt an “out of sight, out of mind” attitude toward these conversion houses, their internal operations should be brought into question in light of the trouble that these technology partners caused during the CPDS program. In an article written in 2000 for the (now defunct) online publication eBookWeb, an industry insider exposed some systemic problems that were present even among early conversion houses. These problems may account for the recurrence of errors and overall lack of quality control within these organizations today, as was borne out by UBC Press’s experience. In “A Tale of Two Conversion Houses,” author Dorothea Salo identifies major problems within these companies, including issues with their workforce, workflow, tools, and customer relations. According to Salo, large conversion houses, also known as “content factories,” employ a sizeable workforce of entry-level programmers and “barely-competent HTML jockeys.” As is the case with other types of factories, the mechanical labour performed by these workers is divided along an assembly line. That is to say, the workflow is “divided into segments so small as to be meaningless” (Salo). Trained only to carry out their assigned tasks, the employees perform repetitive functions (e.g. running scripts, manually inserting links, resizing images), unaware of how these tasks relate “to any other, much less how the whole product looks and functions.” This results in a “silo effect,” by which employees within these conversion houses are kept ignorant of the “larger process or end result” that they are working toward. This disunity affects the overall quality of the product and the ability of the ebook to function as a whole. On a human resource level, this assembly-line approach to conversion leads to low morale and motivation among workers, and a high turn-over rate. Although this results in a “shifting workforce,” conversion houses are able to hire a great number of workers because their operations are located in countries where there is large pool of computer-literate employees who can be paid comparatively low wages. Although it may seem counterintuitive, hiring low-skill workers (instead of ebook designers or digital publishing professionals) is more desirable for these companies, since their production method is built around tools, not training. As Salo explains, the mostly automated conversions performed by these companies rely heavily on “sophisticated production tools that supposedly reduce the need for employee training.” However, the custom software developed for this purpose also has its drawbacks. Because the workers who rely on this software often operate independently from the programmers who write the scripts, there is seldom any feedback between users of these tools and their creators. This disintegration results in the development of inefficient tools. Moreover, “should the tool fail in some way,” the employees who have no expertise (due to a lack of training) and who have been made dependent upon these tools “are left utterly helpless, and workflows grind to a halt” (Salo). Another problem endemic to these large companies is the issue of scale itself. As Laraine Coates of UBC Press observed, “Their’s is a numbers game.” In order to attract clients, these companies must offer low bids on contracts; because these low bids reduce the profitability of any given project, the companies must take on more contracts and even larger projects in order to remain profitable. To wit, the ACP contracts show that these conversion houses are often serving multiple clients (in this case, 44 different Canadian publishers) with divergent needs, simultaneously. Though such diversity in projects and clientele would normally warrant customized workflows, these large businesses must instead take a “one-size-fits-all” approach to ebook conversions because they are operating on economies of scale (Salo). In terms of their workflow, this often means that a single DTD or schema is applied to all files, resulting in some ebooks being “shoehorned” into a markup system that isn’t appropriate to the structure or design of the original book (Salo). In UBC Press’s case, this practice is evidenced in the fact that the content of most of the titles it submitted for conversion were classified as either of “moderate” or “complex” difficulty by Innodata. Clearly, the workflow used by the company—which might work well for producing EPUBs of trade fiction titles with fewer textual elements—could not easily accommodate the type of apparatus found in most scholarly books. The type of markup that results from these cookie-cutter conversions is often of low quality: a fact that, strangely enough, does not seem to hurt business, since the clients of these companies are often more concerned with the appearance of their ebooks than the integrity of their code. In the long term, however, an acceptance of low-grade code on the part of the publisher could affect the use of these ebooks both as archival files and as sellable wares. If the code behind these ebooks does not comply with current best practices, these files may not be forward-compatible when newer versions of the EPUB standard are released. Bad code may also interfere with the ability of future devices to render the files properly. Far from being a safe investment, these poorly made files may in fact have a very short shelf life. This last point underscores a final problem that Salo warns against in her article: a lack of disclosure about workflow and markup on the part of these companies. This reticence may stem from greater communication problems between these large companies and their clients. Staff at UBC Press, for instance, often complained that although they were assigned an intermediary contact person by the ACP, they could not communicate directly with those who were overseeing or performing their ebook conversions. Laraine Coates admits that if the conversion process had been more consultative, and the channels of communication more open, it may have been easier for the Press and its conversion partners to identify potential problems and prevent them. However, Salo attributes this lack of disclosure to a more pernicious motive. She suspects that many technology partners purposefully do not educate their clients about the conversion process or its products in order to keep publishers “ignorantly dependent” on the conversion house. This theory seems to be supported by companies’ use of a custom form of XML (e.g. codeMantra’s pubXML), which hinders their clients’ ability to directly modify their own converted files. The “end-to-end” publishing services offered by these companies also make it harder for publishers to extricate their files, or reassign control over them to another service provider. Whether or not Salo’s suspicions are correct, the result is as she had anticipated: publishers like UBC Press have become increasingly dependent on foreign companies to produce and manage their ebooks. This dependence does not sit well with some who work in the Canadian publishing industry. Even in the early days of NetLibrary, Darren Wershler-Henry—then-editor of Coach House Books and overall electronic publishing advocate—expressed concern over outsourcing the creation/management of electronic titles to foreign companies. “‘Letting an American firm have control over our publishing list just strikes me as a little weird,’” Wershler-Henry was then quoted as saying (Crawley, “Libraries”). If one considers the ramifications of outsourcing long term, Weshler’s discomfort seems justified. Canadian publishers are not just handing over their money and content to factories overseas; they are also giving up their immediate autonomy, and reducing their chances of achieving some measure of self-sufficiency in the future. By continuing to rely on external parties to create and manage their ebooks, Canadian publishers are deferring the need to hire or train staff to carry out their digital publishing programs. At present, there is indeed a scarcity of ebook experts among Canadian publishers. This is particularly true of university presses. Of the 13 UPs in Canada, only two have staff whose sole purpose is to oversee their digital publishing programs. The rest have assigned this task to employees who hold positions in other departments and whose skillsets may be only tangentially related to ebooks. According to staff directories, those in charge of ebooks at Canadian UPs have job titles as diverse as Production and Design Manager, Bibliographic Data Coordinator, Computing Systems Administrator, and Sales/Marketing Manager. In an editorial for The Journal of Electronic Publishing, Kate Wittenburg acknowledges this trend, observing that “[m]any university publishers have tried to meet this [digital] challenge by asking existing staff members to extend their responsibilities.” However, Wittenburg notes that “this strategy had not been effective” because “staff time and creative energy are, understandably, occupied keeping the existing business functioning.” This is certainly the case at UBC Press, where the task of coordinating ebook production has fallen to Laraine Coates, Manager of Marketing. Coates explains that she took on this responsibility in 2009 when another staff member in the Production department was away on maternity leave. Coates assumed this role because of her own personal interest in ebooks, and not her prior training or expertise in ebooks per se. At the time, this responsibility was added to her full-time workload in the Production department, and was later incorporated into her new position in marketing, so the amount of time she can devote to this side of the Press’s operations is necessarily limited. Although Coates is occasionally able to attend workshops and discussion panels on ebooks organized by various professional associations (e.g. the Association of American University Presses), she is afforded few opportunities to increase her knowledge on this subject in her day-to-day activities. By obviating the need for trained employees, outsourcing thus leads to a lack of in-house expertise, which (as many publishers are coming to realize) only increases a publisher’s reliance on its technology partner. Again, UBC Press’s recent experience is telling in this regard. Because the Press had been outsourcing ebook production from the start, Press staff found themselves without the tools or skills necessary to modify the error-riddled ebooks produced through the CPDS program. As a result, UBC Press had to send back converted files that needed only minor corrections (e.g. typos in the tables of content) and wait for CodeMantra or Innodata to make the necessary adjustments, which led to further delays in the production process. In this way, the decision to outsource has handicapped individual publishers and furthered their dependence on conversion partners by rendering them ill-equipped to handle their own ebooks. Over time, the tendency to outsource will also affect the self-sufficiency of the industry at large. Low demand for ebook-savvy employees in Canada will only lead to a lack of supply, for if there are few jobs available in digital publishing in this country, there is little incentive for publishing professionals to pursue training in this field, and limited opportunities for them to obtain on-the-job experience. Outsourcing en masse therefore negatively effects the professionalization of Canada’s domestic workforce and the overall level of employment within this emerging field. In the absence of expertise at home, outsourcing abroad appears to be the only viable option for producing ebooks. Viewed this way, outsourcing threatens to become a self-perpetuating and self-justifying practice—one that leaves publishers without direct control over what has become an essential part of their publishing program. UBC Press’s most recent experience under the CPDS program has shown outsourcing to be less convenient, more risky, and more expensive than it was under early ebook deals with companies like NetLibrary. The files being produced are of an unacceptable quality due to the batch processing and general business practices used by large conversion houses. Errors within these files have caused unnecessary delays and extra work for Press staff; by lowering the quality of the ebooks, they also threaten UBC Press’s reputation, as well as the overall profitability of its ebook program. Yet the decision to outsource has consequences not just for the individual publisher, but for the publishing industry as a whole. When practiced by a large number of publishers (as was done under the ACP’s CPDS program), outsourcing negatively impacts the industry by making it dependent on foreign companies, to the neglect of its own domestic workforce. If the industry continues to outsource ebook production instead of developing the skills required to do so in Canada, those who outsource will have no other choice but to continue outsourcing in the future. In light of these problems, it seems advisable that Canadian publishers now look for practical ways to incorporate ebooks for forthcoming titles into their existing workflows, whether that be at the proofreading or at the production stage. The next chapter will therefore propose various short- and long-term strategies that university presses such as UBC can use to gradually bring ebook production in house. By doing so, these presses can immediately address, and eventually avoid, the problems that have accompanied outsourcing. In the last decade, publishers faced the daunting task of converting their extensive backlists into multiple ebook formats whose staying power was somewhat questionable. Now that ebooks have become a standard part of publishing, and the bulk of their backlists have been converted through an outsourcing process that leaves much to be desired, publishers have begun to consider producing ebooks themselves. In recent years, UBC Press has attempted to move some aspects of ebook production in-house. However, this shift must necessarily be a gradual one. The Press must first put short-term strategies in place to deal with the ebooks that will be produced by its technology partners in the near future. Only then can the Press begin to consider long-term changes to its own operations that would allow for the production of both print and electronic books in house. As discussed in the conclusion of Chapter 1, large-scale ebook conversions will continue to take place under the auspices of eBound Canada. And UBC Press seems willing to continue outsourcing its ebook production to large conversion houses through this organization—for the time being. If this current system of outsourcing is to continue, though, there are various measures that publishers like UBC Press can put in place in order to attain a higher level of quality assurance for their ebooks. At UBC Press, print books typically undergo several stages of review during production. Typeset text is first reviewed by a professional proofreader, as well as the author. 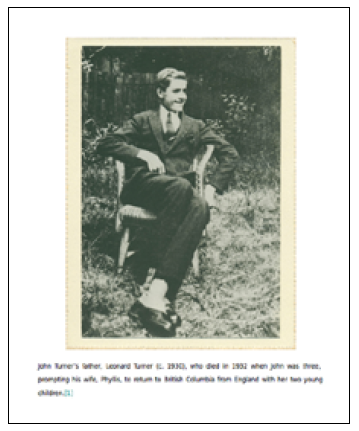 Any corrections to these pageproofs are then collated by staff and entered by the typesetter. The final laser proofs provided by the printer are verified once more by a production editor before being approved for print. However, when the Press began to publish ebooks, these steps—or their digital equivalent—were not being carried out. As a result, ebooks are not subject to the same kind of rigorous review that print books are. The need for better quality control over ebooks was the topic of a recent roundtable discussion hosted by Digital Book World, an online community forum whose events are sponsored by industry professionals and companies like Aptara and Ingram Publishing Group. During this discussion, Laura Dawson, Digital Managing Editor for Hachette Book Group, recommended that publishers take measures to review their ebooks—even (especially) if these ebooks were produced out of house by a technology partner. Ideally, this procedure would also be incorporated into the Press’s production schedule, with the result that production editors would allot a standard amount of time for proofreading ebooks after their anticipated date of delivery. If production staff were to start budgeting time for this activity (and for further rounds of revisions and review, as needed), those in marketing would have a more realistic sense of when an electronic edition of a title will be available for distribution. Normalizing the proofreading process would also result in ebooks being reviewed in-house on a regular basis, not just when extra help is available from student employees, who are typically hired during the summer months. This may result in the task being reassigned to regular staff in the Production/Editorial Department. Liz Kessler, Publisher of Adams Media, points out that it may, in fact, be more advantageous to have the same publishing staff be responsible for the quality of print books and ebooks. Kessler notes that editors and proofreaders work most closely with a title, and are most familiar with the content and formatting requirements of a particular manuscript. These same staff are therefore best suited to reviewing ebooks, as they will notice irregularities and omissions more easily than an intern or co-op student who has little to no familiarity with that manuscript. Reassigning proofreading tasks to relevant members of the publishing team may also redress the human resource problem identified in the previous chapter. Instead of making ebooks the sole responsibility of one overburdened staff member, the publisher can draw from the expertise of several employees. By doing so, the publisher would also turn ebooks into a shared concern of the publishing team, as has long been the case with print books. One downside to the ebooks that are currently being produced by large conversion houses is the metadata they contain (or don’t contain). As was mentioned in Chapter 3, the metadata within these files is often incomplete, and this affects the visibility and identifiability of that digital object once it is in the supply chain. Solving this problem will require cooperation from both publishers and technology partners. Publishers will need to stipulate higher metadata standards within their statements of work, as well as provide more detailed publication information to their technology partners. These technology partners would, in turn, need to respect the standards outlined in their contracts and take the time to embed the provided metadata within the files they produce, even if this means inserting it manually. The IDPF recommendations would also provide an opportunity for publishers to supply additional information about their titles: for instance, the subject categories listed on the Cataloguing in Publication page within a print book could be included as values for the subject element in an ebook, e.g. <dc:subject>Canada – Foreign relations – United States</dc:subject>. Series information could also be placed within the type element <dc:type>Law and Society series</dc:type>. This granular level of data is helpful for marketing purposes, and it may also make cataloguing easier for institutions or for individuals who use programs like Calibre to store and manage their personal ebook libraries. One of the main complaints heard from publishers who took part in the ACP’s CPDS conversion program was the appearance of their EPUBs. While most of the eyesores resulted from formatting errors, these ebooks on the whole lacked the styling and attention to design found in their print counterparts, and in the EPDFs, which retained the layout of the original print books. However, publishers who outsource ebook production can exercise more control over the appearance of their EPUBs by creating (or commissioning) their own stylesheets, a practice that many leading publishers have already adopted. Stylesheets are CSS files that are included within the EPUB file package. These CSS files determine the styling of the content documents and can therefore control certain aspects of the ebook, such as paragraph alignment, typeface, relative font size, line spacing, etc. Though some of these elements may be overridden by certain ereading devices, a well-designed CSS file can still manage to create a unique “look” for an ebook. Using stylesheets to shape the appearance of content would not only enhance the production value of these ebooks, but it would also provide visual consistency between ebooks, thereby allowing UBC Press to extend its brand to those files being produced by another party. Stylesheets could also reduce the possibility of formatting errors by imposing stylistic uniformity on the text and images. While a stylesheet can enhance the surface appearance of an ebook, the best solution to sloppy formatting is better-built ebooks. This requires long-term solutions to outsourcing. When faced with a batch of error-filled ebooks, a publisher can choose to improve upon the files produced by its technology partner, or it can improve upon its choice of technology partner. Given the number of errors found in the converted files and the dissatisfaction reported by clients like UBC Press, the large conversion houses hired by the ACP were not a good “fit” for Canadian publishers, particularly university presses. As stated in Chapter 3, scholarly books contain a number of extra-textual elements that aren’t easily accommodated by the automated workflows used in these conversion houses. 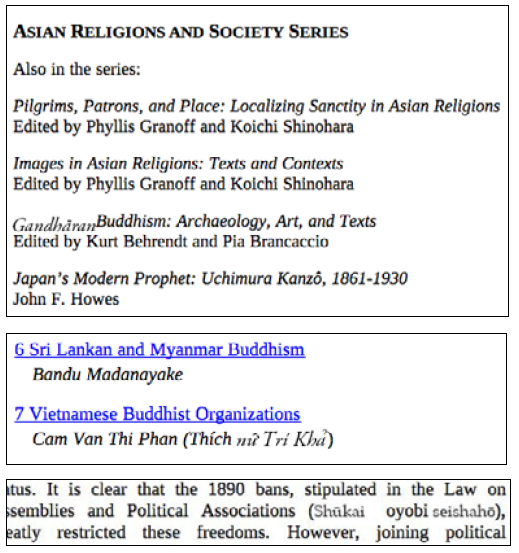 Consequently, these scholarly ebooks seem to suffer from an unusually high number of formatting errors. In addition to causing problems during production, the apparatus that comes with academic books also adds to the cost of conversion. This is because, in the fee structures used by large-scale conversion houses, price is often indexed to the length of the text, along with the number of figures and the number of links a given ebook edition will contain. This pricing system effectively penalizes publishers of monographs and reference books, which are typically longer than trade books, and which contain numerous notes and lengthy indices. It’s not surprising, then, that of the 74 UBC Press titles included in Innodata’s initial cost estimate, 40 were considered to be of “moderate” difficulty and 16 were assessed as “complex.” In other words, the assessment criteria used by this company placed three-quarters of UBC Press’s books within the higher price categories. If the production and pricing methods used by large conversion houses aren’t appropriate for scholarly publishers, then UPs that wish to continue outsourcing should find more suitable technology partners. One alternative to hiring large conversion houses overseas is to hire smaller ebook design firms, which are cropping up in North America. Instead of signing contracts for bulk orders, these companies tend to work on a project-by-project basis with their clients, much like freelancers do. These companies also position themselves as counter to the content-factory model: the Canadian company Wild Element, for instance, promises its clients “no batch processing” and “hand-styled” ebooks on its website. This difference in production method seems to stem from a fundamentally different approach to ebook conversion. Whereas content factories focus on moving publishers’ data from one file format to another, these firms focus on translating a book’s design from print to electronic editions. 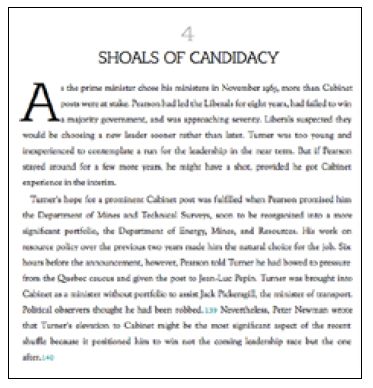 To this purpose, Wild Element’s stylesheets often replicate the typography of the original print book in an effort to “preserve the investment” publishers make in typesetting their books and to “deliver the quality you’ve come to expect from the traditional paper book.” This sensitivity to a book’s physical elements and design would be of particular use to publishers like UBC Press. In fact, UBC Press has already begun to use smaller design companies for specific projects. It chose to hire Wild Element to produce the EPUB version of its lead title for the Fall 2011 season. 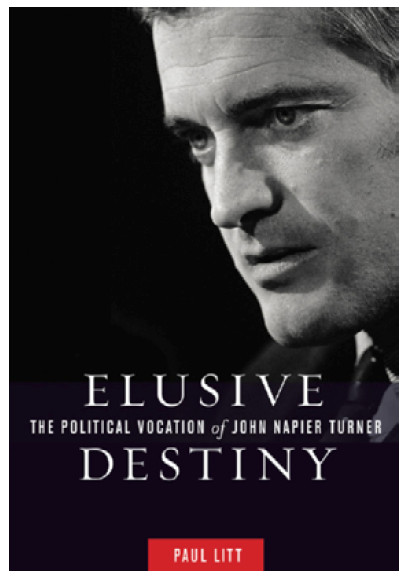 The Press was particularly concerned that the EPUB edition of this title be attractive, error-free, and ready in time for the launch of the print book, since this title was expected to be a trade crossover with a high-profile publicity campaign. UBC Press was quite pleased with the EPUB produced by Wild Element. As the figures below show, its layout reflected a consideration for aesthetics as well as an attention to detail that was missing from the ebooks produced by codeMantra and Innodata. As a result, UBC Press is considering using the same company to fix the EPUBs produced under the ACP’s program. Though the Press was pleased with this one-time, alternative outsourcing experience and with the end product, it is clear that the services offered by a company like WildElement are no replacement for large-scale ebook production. Their emphasis on tailored design and digital craftsmanship seems to align these companies with the letterpress printers, but just like their paper-based counterparts, these companies are restricted in the volume of books they can produce due to the small size of their operations, their attention to detail, and their preference for custom coding. Ebook design firms are thus unable to process large batches of files as conversion houses do. Because they are situated in North America and hire trained professionals, they face higher labour costs, so their services come at a premium. The EPUB featured above, for instance, cost three to four times as much to produce as a comparable title would through a company like Innodata. Publishers who decide to use such companies will therefore need to be choosier about which titles they publish as ebooks. These types of decisions would ideally be based on a long-term epublishing strategy. To date, UBC Press’s efforts at digitization have been determined by volume and price. Since its early deals with NetLibrary and Gibson Publishing, the Press has pursued those opportunities which have allowed it to acquire multiple ebook formats for the greatest number of titles at as little cost as possible. Books that proved too expensive to convert under previous agreements simply were not digitized. However prudent UBC Press’s past decisions about ebook production may have seemed, this focus on economy alone hasn’t led to better value or experience. In the wake of the latest outsourcing fiasco, Laraine Coates admits that the Press needs to “think less about quantity and more about quality.” This may mean selecting fewer titles for conversion and/or allocating more resources to the production of those titles. University presses should be particularly selective when deciding which titles to convert to the newer EPUB format. Not only is the EPUB format more difficult and expensive to produce, but also its usefulness for academic publishers has yet to be proven. As was explained in Chapter 1, EPUBs are designed for use on tablets and e-reading devices, and are carried by ebook retailers like Kobo and Apple. The EPUB format is therefore aimed at the trade market. However, UP content is not. Given their highly specialized subject matter, few books published by university presses appeal to a wider general audience. Though the UBC Press book produced by Wild Element (a biography of a political figure) may have been an appropriate choice for an EPUB, a more specialized monograph—say, a treatise on international trade law and domestic policy—wouldn’t be: the investment made in producing an EPUB version of that title would likely not be returned in sales. Furthermore, if EPUBs are unsuccessful in the trade market, they can’t be repurposed in institutional markets, since few academic libraries are able to accept files in the EPUB format at this time, and most are satisfied with enhanced PDFs. These factors should be taken into account, along with any available ebook sales data, as UPs try to determine which of their titles will work as EPUBs. Ultimately, this format may be found to be unsuitable for scholarly publishers. If, however, UBC Press decides to adopt the EPUB as a default format for its ebooks, then the Press should consider moving EPUB production in house in the future. UBC Press has already demonstrated some capacity for in-house ebook production by successfully integrating one ebook format into its own workflow. In 2011, the Press’s typesetter agreed to start producing enhanced PDFs for the Press. This is done by inserting links directly into a book’s InDesign file; although these links aren’t expressed in the print book, they add functionality to the PDF later on. At this stage of production, the typesetter also adds an extra table of contents that will appear in the PDF’s bookmark menu. Once exported, the PDF is customized further by the Press’s in-house graphic designer, who checks the file’s links, attaches a low-res version of the cover, and swaps the print copyright page for another which contains the ISBN for digital editions. Although these enhanced PDFs do not have as many features as the uPDFs produced by CodeMantra, they are an affordable and efficient alternative to outsourcing. Since these ePDFs began to be produced in house, there is little delay between the publication of print and electronic editions, as the web-ready ePDFs and the simple PDFs used for printing are produced almost simultaneously. The successful integration of ePDFs into the Press’s own workflow is encouraging. However, incorporating EPUBs into the Press’s operations would be much more difficult. Where the latter is essentially an image of a print book, the former is a collection of marked-up files in a .zip archive: some of these files are in HTML (the CSS stylesheet), others are in XML (the .OPF or metadata file), and still more are in XHTML (the actual content files). In order for EPUBs to be incorporated into UBC Press’s own workflow efficiently, the Press would have to move ebook production from the end of its publishing workflow (where outsourcing currently takes place) to the beginning, so that tagging can be applied to these documents earlier on. The Press has considered this prospect in the past. In March 2011, UBC Press asked publishing technology consultant Keith Fahlgren for advice on how to transition into performing EPUB production in house (Coates). At the time, Fahlgren recommended that the Press create a new workflow that uses styles in Word. If implemented, this method would have resulted in a transfer of styled content from Word to InDesign, and eventually into the EPUB format. While Fahlgren’s solution seemed convenient, in that it was based on software programs already in use at the Press, the production and editorial staff found using styles to be “a frustrating experience” and “a lot of work” (Keller). As it turns out, authors, freelancers, and staff members had different versions of Word, which made sharing files under this new system even more cumbersome. Staff discovered that styles would be lost during the transfer, or would reappear in one version of Word after having been deleted in another. This production method also would have required a lot of cleanup along the way, as Microsoft Word is a proprietary software program that produces a lot of idiosyncratic and extraneous code. This code is often brought over when content is imported from Word, and must stripped from the text if one is to create “clean” code in the EPUB. If content can’t be tagged using styles from the word processor currently used in-house, then it seems the Press would have to create tagged documents using a true XML-editing program like oXygen. Yet staff are understandably skeptical about the prospect of adopting an altogether new mark-up system. Holly Keller, Manager of Production and Editorial Services at UBC Press, points out that staff in this department may not be comfortable or keen on working with tagged documents; she also suspects that none of the freelance proofreaders employed by the Press have a working knowledge of HTML or XML. Presumably, then, both the initial tagging and the proofing of these documents would need to be performed by an additional staff member or a freelancer who possesses these skills. Keller also wonders how adopting EPUB production would affect workload and priorities within her department. She questions whether the incorporation of this new format might shift her department’s focus and resources away from the content of a manuscript and toward its technical requirements. While Keller’s concerns are valid, textual markup is not so foreign a concept for production editors. In fact, textual markup is an extension of the editorial function, as it involves identifying the elements and structure of a manuscript. Though it may seem that introducing XML tagging would require a radical shift in production, there already exists an opportune stage for this encoding to take place within the Press’s current editorial/production workflow. Following the transmittal meeting, when a manuscript is first brought in-house, each document undergoes a “clean up” process. (See Figure 1.) 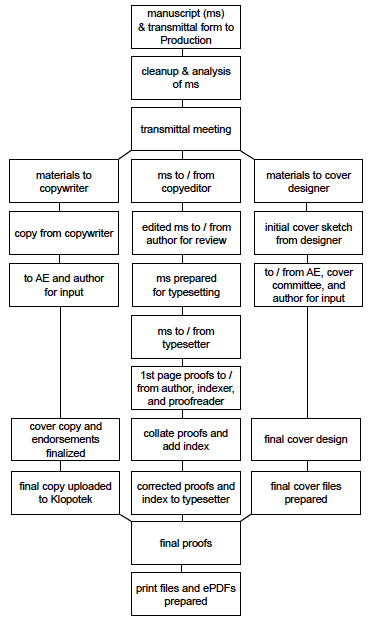 During this process, a production editor assesses the contents of an author’s manuscript and inserts typecodes that will later be used by the typesetter to layout the document. Elements that are already being tagged by production editors during this process include block quotations <Q>, epigraphs <E>, heading levels <3>, and lists <begin numbered list>. Though these tags are open (not closed) and are not nested, they are analogous to the types of XML tags used in the content files of an EPUB: both types of tags are a form of semantic markup that describe the different parts of a document so that they can later be expressed or manipulated in a certain way. Were these typesetter codes replaced by a standard XML tag set, UBC Press’s production editors would be well on their way to producing the tagged documents they require to produce EPUBs in house. Furthermore, other clean up tasks performed at this stage of production which don’t currently involve typecodes could easily be replaced with tasks that do in order to introduce an extra level of tagging. For instance, instead of checking to make sure that the first line of every paragraph is indented, editors could instead make sure each paragraph is labeled <p>. Rather than change emboldened words to italicized words, editors could simply tag these words as emphasized <em>. Section breaks, which often need to be inserted manually into Word documents, could instead be marked by <seg> tags. In short, a close evaluation of manuscripts and a tagging of textual elements already occurs at the beginning of UBC Press’s production process. With a minimal amount of staff training, this process could be modified to include XML markup. If the Press were to start out with well-tagged content, they could use the same source file to produce both print and electronic versions of a title. This workflow would be much more efficient than the current system, wherein content is first formatted for print only, and must later be stripped and tagged with XML afterward in order to produce an EPUB. If UBC Press were to pursue an XML-based workflow, it would also need to consider the type of XML language it would use. DocBook is an XML schema commonly used in the production of books. While its “main structures correspond to the general notion of what constitutes a ‘book,’” it is “particularly well suited for books on computer hardware and software,” having been developed in part by O’Reilly & Associates for producing technical manuals (“What is DocBook?”). However, professionals who work within scholarly publishing have found that this book markup language “lacks native markup elements for many structural features common in humanities and social science texts” (Sewell and Reed). Fortunately, there exists another type of XML markup that is perhaps better equipped to handle UBC Press’s content: TEI, a markup language developed and maintained by the Text Encoding Initiative Consortium. The TEI guidelines, which have been under development since the 1980s, have come to form a standard for the representation of texts in digital form within the humanities. Although TEI has largely been used to digitize those texts used as primary sources within humanities research (i.e. rare manuscripts and historical documents), it would also be appropriate for use in digitizing secondary literature, i.e., scholarly monographs or reference books. Because the TEI was developed to describe physical manuscripts, it can accommodate the type of textual elements commonly found in scholarly books, like notes and tables. It also contains more specialized element groups that could be used to tag UP texts that are at present rather tricky to produce as ebooks. For example, UBC Press publishes a series of books on First Nations languages, but the heavy use of phonetic symbols in these texts makes them difficult to convert into EPUBs. However, the TEI has a dictionary module and a set of elements that identify language corpora. This comprehensive tag set could help identify these special elements up front and preserve them during conversion. Members of the digital humanities community have long anticipated the applications of TEI in scholarly publishing. In June 2009, a special interest group on this topic was formed at the Association of American University Presses. Although no university press in North America is currently using a TEI-based workflow, some are already experimenting with TEI (e.g. University of North Carolina). Other academic institutions have also adopted digital publishing workflows based in TEI encoding. For example, the New Zealand Electronic Text Centre has been using TEI in the digitization of full-length works that are later converted into the EPUB format. Sebastian Rahtz of Oxford University Computing Services has also been facilitating TEI-based publishing at his home institution and abroad. He has developed several XSL stylesheets that enable XML->XHTLM transformations, i.e. that help convert TEI documents into EPUBs. Because TEI is developed and maintained by a non-profit organization, these XSL stylesheets are available for use to the public through the TEI website (http://www.tei-c.org/Tools/Stylesheets/). Using a TEI-first workflow would therefore allow publishers to export their EPUBs more directly, instead of having to prepare a manuscript for print first and convert it afterward. Yet the addition of this TEI tagging process would not entirely disrupt the print-based production workflow currently used by publishers like UBC Press. Documents tagged in TEI can also be imported into traditional desktop publishing programs like InDesign, where they can then be shaped for the printed page (Reed). In addition to producing print and electronic books more efficiently, TEI would allow university presses to repurpose their content in other ways. In the future, TEI documents could be used to create other academic resources, such as online databases or archives, should a press wish to expand its digital publishing activities to include these types of products. By choosing to use TEI within an XML-based workflow, university presses like UBC Press may also solve previously identified problems with staffing and a lack of in-house expertise. Because TEI is used primarily by members of the academic community, there may be opportunities for publishers to partner with digital humanists and electronic text centres that already exist within universities. The Journal Incubator at the University of Lethbridge in Alberta provides an inspiring example of for how students may take on support roles in digital scholarly publishing. Students who are placed at the Incubator through graduate assistantships and co-op placements acquire training in editorial and production skills, including XML encoding and processing. These students then apply these skills while working for the Incubator: their services, which are primarily used to publish electronic journals, are offered to departments within their own institution, as well as those from outside the university. Instead of “outsourcing,” this type of arrangement amounts to a kind of “insourcing”—looking to one’s host institution for technical advice and support. This type of arrangement may assist university presses like UBC in transitioning to a digital workflow based in TEI, and may, through a sustainable, ongoing partnership, provide the type of encoding that would be required by a press. The applications of TEI within scholarly publishing are thus quite promising. Although it may be too risky for an individual press to experiment with TEI-first publishing on its own, this option should certainly be pursued by industry organizations like the Association of Canadian University Presses. Scholarly publishers may just find a long-term solution to their outsourcing woes by looking within their own university communities for expertise and assistance. There are several ways for publishers to avoid error-filled files and ensure better quality ebooks.Publishers can reduce the number of formatting errors by proofreading their ebooks in-house; they can also enhance the appearance of their EPUBs by applying their own stylesheets. At the same time, by augmenting the metadata contained within these files, publishers can increase the amount of information available on their digital titles and ensure greater discoverability for them once they are in the supply chain. However, these are short-term solutions to a systemic problem. If publishers wish to avoid error-filled files in the future, they need to consider more fundamental changes to the way they approach ebook production. This could mean finding a partner that will convert ebooks more carefully, which may, in turn, require publishers to be more selective in the number of titles they convert into EPUBs. If publishers like UBC Press choose to adopt the EPUB as a standard format for their ebooks, it may behoove them to move ebook production in-house entirely. By doing so, publishers could achieve a consistently better end product. More importantly, they could break their decade-long dependence on large conversion houses that have become a liability. UBC Press has already shown some ability to accomplish this by taking on enhanced PDFs in-house. There is also an opportunity for the typecoding system currently used by production editors to be expanded into the kind of XML tagging that would enable the Press to produce EPUBs. Should UBC Press decide to pursue an XML-first workflow, it should seriously consider TEI as its markup language of choice. A TEI-first workflow would result in better-tagged documents and easier EPUB exports and it would allow the Press to continue using standard design and layout software to create its print books. That TEI has existed in one form or another since the 1980s indicates that this markup language would be a durable way to store a publisher’s source files, regardless of what new ebook formats may arise in the next few years. Whether they turn to the digital humanities for solutions, shop around for a smaller technology partner, or extend their staff’s expertise to the field of digital publishing, university presses are well positioned to seize control of their epublishing programs, and have sufficient motivation to do so. Open the file in Adobe Reader or Adobe Acrobat Pro. Check that the file name is the ePDF ISBN, not the hardcover, paperback, or EPub ISBN. You can find the assigned ISBNs for any title on the H: drive, in the Departments/Production/CIP ISBN ISSN/ISBN folder. Check the cover for image quality. Make sure that the image is clear and the type legible. 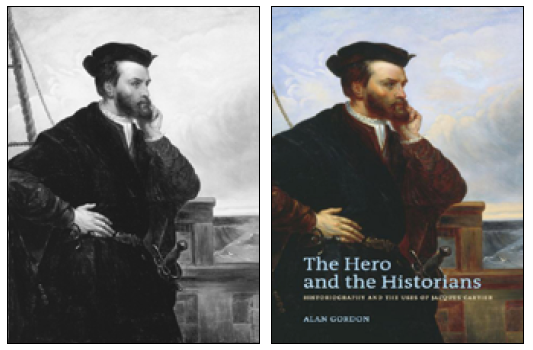 Compare against hard copy of book if necessary (see UBC Press’s Permanent Library located in the Meeting Room, Rm 113). Make sure that the title and author/editor name(s) are present, and are spelled correctly. Check the spelling against the full title page on the interior, if necessary. Scroll down to the copyright information page (usually p. iv). Make sure it is the paperback CIP page: i.e., it should list the ISBN numbers for all formats, print and electronic. Scroll down to the ToC page (usually p. vii). Make sure the ToC page is linked. Click on a chapter title to go to the opening page of that chapter. Click on the title again to return to the ToC page. If it isn’t already displayed, open the bookmarked ToC by clicking on the bookmark icon that appears in the lefthand sidebar. Make sure there is a bookmark for each chapter, and that there are no typos in the chapter titles. Click on the bookmarks—including the bookmark for the Cover Page—to make sure that they link to the right page. Scroll down to the List of Illustrations (aka Maps, Figures and Tables, p. ix). 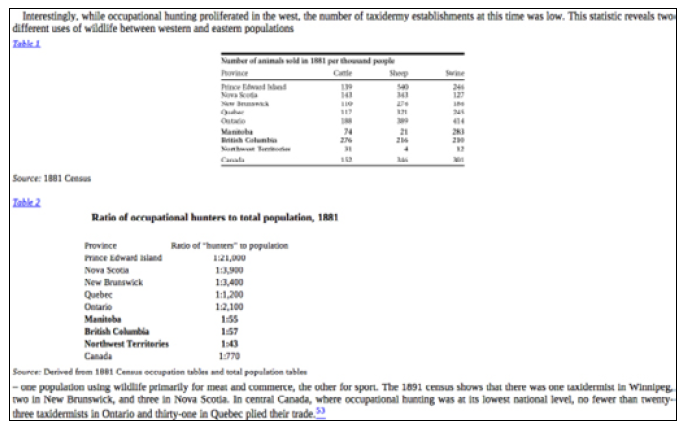 Make sure the name of each illustration/figure/map/table links to those images in the text. Check the image quality of the illustrations. Click on the image or image title to link back to the List of Illustrations. Spotcheck pages throughout the book, checking for odd line breaks. If the book contains endnotes, click on some of the supernumerals: these should take you to the appropriate chapter in the Notes section. Click on the note number again to return to the main text. Scroll through the Notes section quickly to make sure the notes in each chapter are linked. Spotcheck other internal links (e.g. to figures). When checking hyperlinks, make sure the pop-up blocker on your browser is turned off. Make sure the pages in the PDF file are numbered correctly. The number indicated in the menu bar above should match the number on the page. The prelim pages (for the title page, etc.) should be numbered in roman numerals. Spotcheck the page numbers in the index to make sure they are linked, and that they take you to the right place. Links for page ranges (p. 88-108) may take you either to the first or last page number in that range. Before opening the file, you need to validate it—i.e., make sure that its code is well-formed and that the file is formatted properly. If the EPUB is valid, a green checkmark will appear. If it is invalid, a red X and an error message will appear. If the file does not validate, make a note of this, but continue proofing. The file name should be the EPUB ISBN for that title — not the hardcover, paperback, or ePDF ISBN. You can find the assigned ISBNs for any title on the H: drive, in the Departments/Production/CIP ISBN ISSN/ISBN folder. Use a free ereading software program like Adobe Digital Editions <http://www. adobe.com/products/digitaleditions/> that can be downloaded from the web and installed locally on your computer. Do not use Sigil to proof these files: in order to open a file within this program, you have to unzip (i.e. dismantle) it, and the linked table of contents will be lost. Once you have installed such a program, you will usually have to import or add the EPUB file into your “library” in order to view it. To do this, some programs require you to move the file into the program (instead of just viewing the file via the program). If this is the case, make duplicate copies of the files before importing them into the library. If you have an e-reading device on hand (e.g. data phone or tablet that has an ereader app), you can also use that to check most of the issues below. You can also use a designated ereading device like a Kobo or Nook to view the file; however, at this point in time, Kindles do not read EPUBs and so cannot be used to proof these files. UBC Press has purchased an iPad for this purpose. Check with Laraine or Peter for permission and instructions on how to use this device. Check the cover for image quality. Make sure that the image is clear, that the type is legible, and that the cover is not stretched horizantally or is too small. If necessary, compare it against the hard copy of the book (see UBC Press’s Permanent Library located in the Meeting Room, Rm 113). Make sure that the title and author/editor name(s) are present and are spelled correctly. Check the spelling against the title page, if necessary. Make sure that the copyright information page and series page (if used) have been moved from the beginning of the file to the end of the file. Make sure that the CIP page is the paperback version: i.e. it should list the ISBN numbers for all formats, print and electronic. There are two ToCs to check: the embedded ToC that appears in the body of the text, and the navigational ToC that appears beside it. 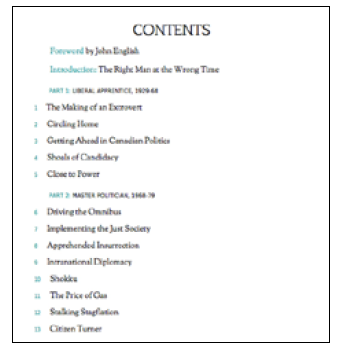 To view the embedded ToC, scroll down through the prelimary pages until you reach the Table of Contents. Make sure the items on the ToC page are linked. Click on a chapter title to go to the opening page of that chapter. Click on the title again to return to the ToC page. If the navigational ToC is “hidden” when you first open the file, look to the lefthand sidebar. There is usually a Bookmark or Contents button that you can click to view the bookmarked ToC. In Adobe Editions, there is also a small arrow that you can click and drag to expand this viewing pane. Scroll down to the List of Illustrations (aka Maps, Figures and Tables). Make sure that the titles and captions appear above/below the images, not beside them. Make sure that the text surrounding the images is well placed and not interrupted by the image. Check for problems with tables (e.g. misaligned cells or cell contents, tables that have three or more columns and are appearing as text instead of images). • diacritics/accents that have been captured as images instead of as text. This tends to happen often with Asian characters, but can also happen with accented letters in French words. You will be able to tell if they are images because they will not seem aligned with the rest of the text, and cannot be resized. Spotcheck internal links. If the book contains endnotes, click on some of the supernumerals: these should take you to the appropriate place in the Notes section. Click on the note number again to return to the main text. If checking hyperlinks, make sure the pop-up blocker on your browser is turned off. Unlike the ePDF, the text here is reflowable. Don’t worry if it seems like there are odd page breaks (e.g. the title page seems spread across two different pages); the amount of text being displayed adjusts to the size of your screen/window. Although your reader/browser might display page numbers, these page numbers are not actually a part of the EPUB file. Don’t worry if they aren’t in roman numerals or don’t match the ePDF page count. Unlike the ePDF, the index in an EPUB is not linked to the main text. The EPUB ISBN should also appear as the ID in the file metadata. Most ereading devices will allow you to view the metadata for an EPUB file, but in order to do this on a computer, you usually need to open up the EPUB file. One way of doing this is to download and install a free ebook management tool like Calibre <http://calibre-ebook.com/ along with a free text editor like Notepad++ http://notepad-plus-plus.org/download/v5.9.3.html>. After adding the EPUB file to the Calibre library, right-click on the title and select “Tweak EPUB.” The select “Explode EPUB.” This will unzip the EPUB so that you can view the files within it. Look for the .OPF file. It may be contained within the OEBPS folder, and may have a very long name, but it will end with the “.opf” extension. Right-click on the .OPF file, and choose “Open with” or “Edit with Notepadd++.” This will open the .OPF file, which contains information about the book wrapped in XML tags. Within the first 20 lines or so, you should see “<dc: identifier,” followed by the EPUB ISBN. If the ISBN number is missing, take note of this. After checking the metadata, you can exit Notepad++ without saving, and hit “Cancel” on the Calibre “Tweak EPUB” screen. The Print on Demand (POD) PDF files are essentially print-ready files that are sent to Lightening Source, which prints short runs of softcover books. Before proofing these files, please consult the LSI File Creation Guide found in Departments/Production/Style Guides and Training/Ebook Proofing, or visit the Lightening Source website to learn more about the specifications for these files <http://www.lightningsource.com/digital_bookblock_creation.aspx#standardBooks>. Make sure that both file names contain the paperback ISBN — not the hardcover, EPUB or ePDF ISBN. You can find the assigned ISBNs for any title on the H: drive, in the Departments/Production/CIP ISBN ISSN/ISBN folder. Unlike the ePDF and EPUB files, which use lower resolution images, the cover for the POD file should be the high-resolution paperback cover. This cover should also be the full-wrap cover, with front, back, and spine—not just the front cover. The back cover should also display the paperback barcode. This PDF should have the paperback copyright information page (CIP page): i.e., it should list the ISBNs for all formats, print and electronic. Because this file is destined for print, it will not have a linked ToC or any other interactive features contained in the other ebook files. Anderson, Chris. “The Long Tail.” Wired (12.10) October 2004. Albanese, Andrew. “Macmillan Poised to Test Library E-book Model.” Publishers Weekly September 24, 2004. Castro, Elizabeth. EPUB Straight to the Point: Creating Ebooks for the Apple iPad and Other Readers. Berkeley, CA: Peach Pit Press, 2011. “Cook-Book Misprint Costs Australian Publishers Dear.” BBC News Online April 17, 2010. Coughlan, Sean. “Spelling Mistakes ‘Cost Millions’ in Lost Online Sales.” BBC News Online. July 13, 2011. Crawley, Devon. “Libraries Experiment with E-book Lending,” Quill & Quire June 1, 2000. Crawley, Devon. “Online E-book Services Struggle to Survive,” Quill & Quire November 1, 2001. Crawley, Devon. “Scholarly Presses Forgo E-books,” Quill & Quire November 1, 2001. Crawley, Devon. “University Presses Tread Cautiously with E-books,” Quill & Quire 1 Nov. 2000. Heffernan, Virginia. “The Price of Typos.” The New York Times [Opinion Pages] July 17, 2011. MacDonald, Scott. “Heritage Grant Kickstarts E-book Initiative for Indie Publishers,” Quill & Quire, October 20, 2009. Murray, Chelsea. “Canadian Electronic Library Strikes Potentially Lucrative International Deal for Publishers,” Quill & Quire August 12, 2010. “Newly Incorporated eBound Canada Offers Digital Solutions to Canadian Publishers,” Quill & Quire June 27, 2011. Ng-See-Quan, Danielle. “University Libraries Make Canadian Digital Connections,” Quill & Quire November 1, 2008. Sewell, David and Kenneth Reid. “TEI: Scholarly Publishers Collaborate on XML,” The Exchange, Spring 2010. Association of American University Presses website. Smith, Briony. “Canadian Firm Pushing Homegrown E-Books to Expanding Academic Market,” Quill & Quire 27 June 2006. Wittenberg, Kate. “Reimagining the University Press,” Journal of Electronic Publishing 13.2 (Fall 2010). Coates, Laraine. Interview by author, August 5, 2011. Keller, Holly. Interview by author, August 5, 2011. Milroy, Peter. Interview by author, August 5, 2011. Boshart, Nic. “Question re: Conversion Houses.” July 26, 2011. Boshart, Nic. “Conversions.” November 17, 2011. Izma, Steve. “Re: Electronic Publishing at Wilfrid Laurier Press.” March 12, 2011. Rahtz, Sebastian. “Re: TEI and Ebooks” [TEI-PUB-SIG listserve]. September 22, 2011. Reed, Kenneth. “Re: TEI and Ebooks” [TEI-PUB-SIG listserve]. September 22 and 26, 2011. “Prioritizing Ebook Production: Which Books Should You Convert First?” eBOUND Canada website, April 19, 2012. Brand, Megan. “Outsourcing Academia: How Freelancers Facilitate the Scholarly Publishing Process.” Master of Publishing Project Report, Simon Fraser University, Vancouver, BC, 2005. Knight, Alison Elaine. “The Tangled Web: Managing and Confronting Scholarly Ebook Production at UBC Press.” Master of Publishing Project Report, Simon Fraser University, Vancouver, BC, 2007. Aptara. “Uncovering eBooks’ Real Impact: Aptara’s Third Annual eBook Survey of Publishers.” Falls Church, VA: Aptara, September 2011. Baldwin, John R. and Wulong Gu. “Basic Trends in Outsourcing and Offshoring in Canada.” Ottawa: Micro-Economic Analysis Division, Statistics Canada, 2008. Goss Gilroy Inc. “Formative Evaluation of the Aid to Scholarly Publications Program (ASPP) Part II: Context for Scholarly Publishing.” Ottawa: Social Sciences and Humanities Research Council, 22 November, 2004. McKiel, Allen. “ebrary Download Survey Report.” Monmouth, OR: ebrary, 2011. —. “200 Global Librarian Ebook Survey.” Tahlequah, OK: ebrary, 2007. Morissette, René, and Anick Johnson. “Offshoring and Employment in Canada: Some Basic Facts.” Ottawa: Business and Labour Market Development Division, Analytical Studies Branch, Statistics Canada, 2007. UBC Treasury Strategic and Decision Support. “UBC Press Business Model Review (draft).” Vancouver: UBC Treasury, June 28, 2001.